Offer expires October 07, 2014 11:59pm (EDT). Please call 1-800-852-4216 for complete details. 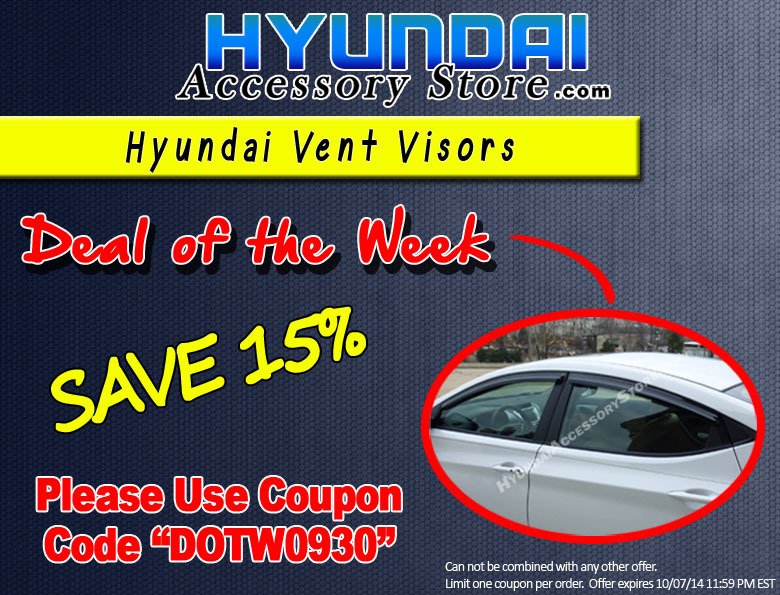 This entry was posted in Hyundai, Hyundai Accessory Store on September 30, 2014 by hasblog. Offer expires September 30, 2014 11:59pm (EDT). Please call 1-800-852-4216 for complete details. 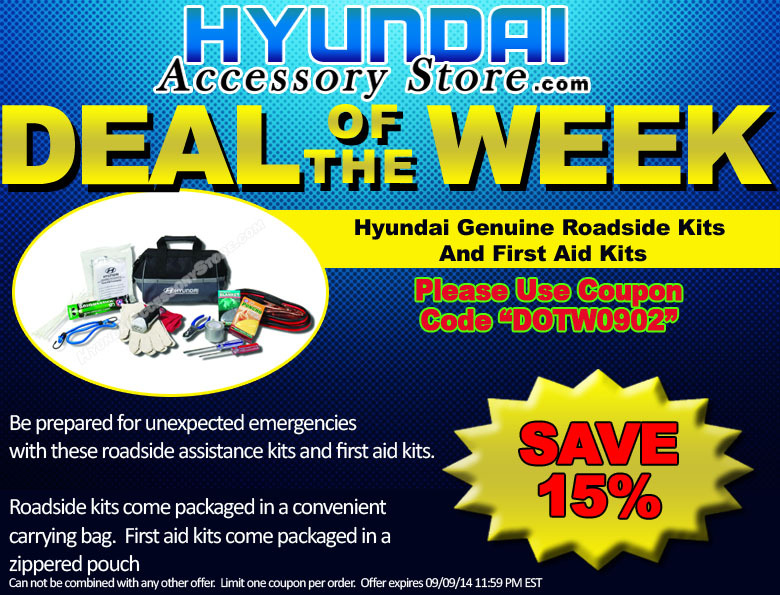 This entry was posted in Hyundai, Hyundai Accessory Store on September 23, 2014 by hasblog. Offer expires September 23, 2014 11:59pm (EDT). Please call 1-800-852-4216 for complete details. 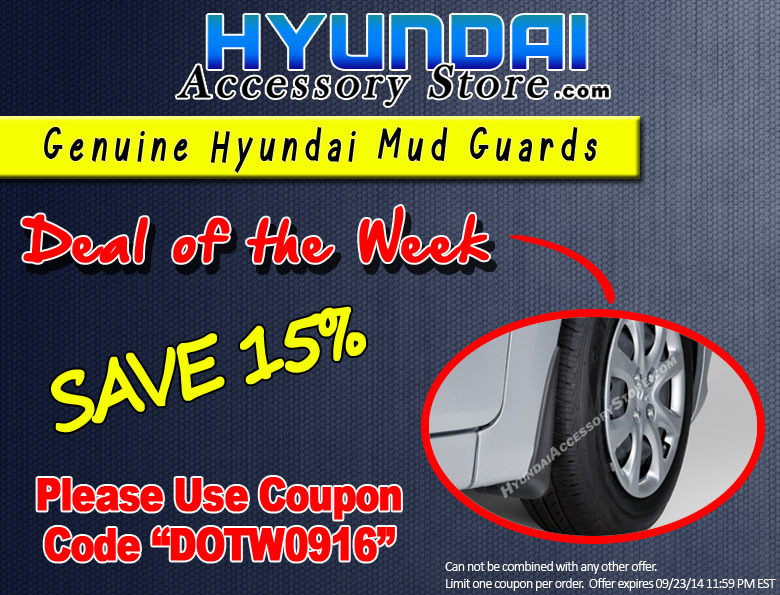 This entry was posted in Hyundai, Hyundai Accessory Store on September 16, 2014 by hasblog. Offer expires September 16, 2014 11:59pm (EDT). Please call 1-800-852-4216 for complete details. 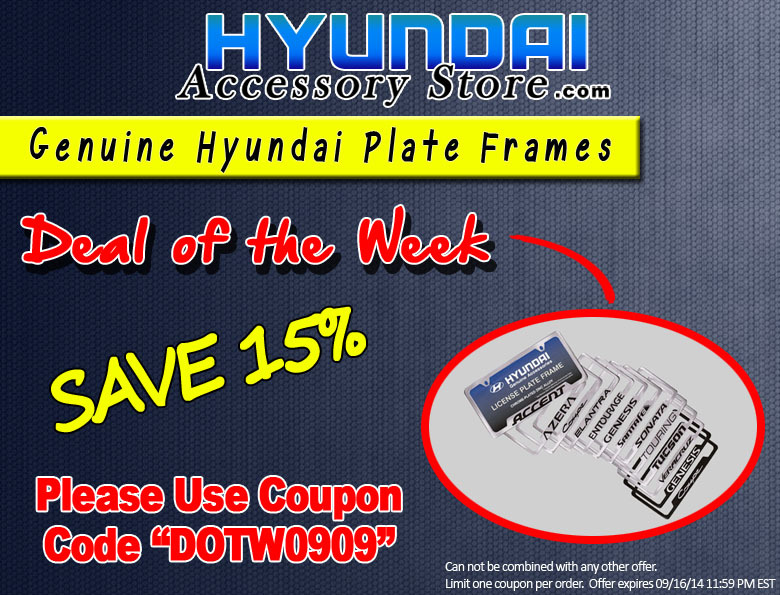 This entry was posted in Hyundai, Hyundai Accessory Store on September 9, 2014 by hasblog. Be prepared for unexpected emergencies with these roadside assistance kits and first aid kits. Offer expires September 9, 2014 11:59pm (EDT). Please call 1-800-852-4216 for complete details. 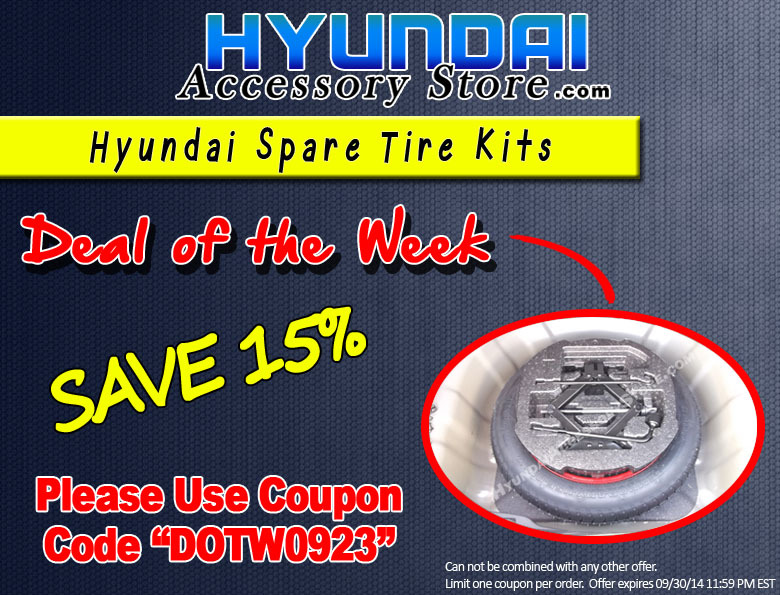 This entry was posted in Hyundai, Hyundai Accessory Store on September 2, 2014 by hasblog.